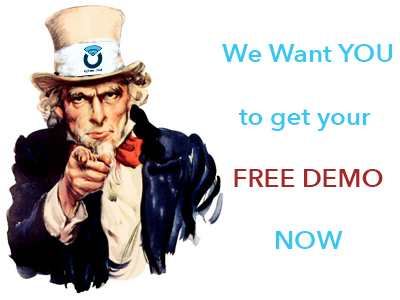 Request Your Free Personalised Demo Now! Real Estate CRM > Request Your Free Personalised Demo Now! We personalise our demos to your needs... Please tell us something about your business! Are you an existing business with a website: add the web URL. Do you specialise in residential only? ...or also commercial/industrial? How many users would access the CRM system? Every demo is different and adapted to your needs and in a language you master. The better you explain your needs and wants, the more accurate we can prepare your demo, and the easier for you to make your decision. Our demos are a two-way communication whereas you get to answers to all your questions about our CRM solution, how it integrates with your website, potentially a new site we create for you, financing possibilities available, data migration from your old system, and any other integration like portals for example. We show you the functions in CRM that are instrumental for your business as well as what are the integration points with websites, how leads are automatically flowing into CRM etc. Once you understand the logic of our solution, you get to spend time on your own with your personal demo user so that you can further explore the rich features of Optima-CRM. For your comfort and ease-of-access our demos are organised via GoToMeeting, a world-class web demo tool that allows us to share our screen with up to 50 participants from anywhere in the world, through PC or tablets, and with two-way conversation over the same connection. Alternatively we can provide a Spanish conference phone number. Prior to the start, we'll send you a link to click at the time of the demo. Monday - Friday 9:00 - 18:00 C.E.T.